Special Weekend Packages 2 nights accommodation, Cooked breakfast both mornings, Late checkout, Complimentary glass of wine and cheese platter or afternoon tea. 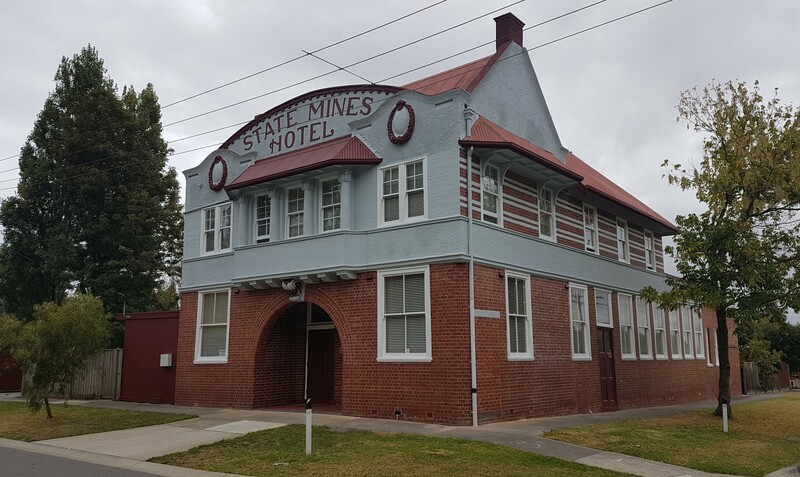 State Mines Hotel B&B in Wonthaggi, offers luxury Bed & Breakfast Accommodation in a private setting. Steeped in history this iconic building (Circa 1915) ceased operations as a hotel in 1957. Originally built to service the coal miners it has now been transformed into a unique B&B offering boutique style accommodation. Situated in a quiet central location, and only a short drive to local beaches, Phillip Island, GP Circuit, Inverloch and the surrounding area, it's an ideal spot to base yourself and explore all South Gippsland has to offer. We're located directly opposite the Wonthaggi to Kilcunda walking trail where you can go for a walk or cycle the stretch of track (previously the old historic rail line) that runs 23kms through native vegetation, past historic mining remnants, and coastal reserves on the way to the beach at Kilcunda . We're also a short stroll into town along the path through the wetlands where you can observe the local wild life, or visit the Wonthaggi State Coal Mine that runs underground tours daily. To book accommodation or check availability simply use the tool below, or feel free to call or email us directly.